I’ve seen two monarch butterflies this year. Just two. I really thought there would be more. We have a whole pasture of milkweed, thistle and wild carrots to entice them…but still, just these two have come to our homestead. I spotted the first one while out in the swales. It swooped from the grass grown high on the pond to the cherry tree hidden among the tall weeds. Joe found the second one fluttering around the chocolate mint in the vineyard. 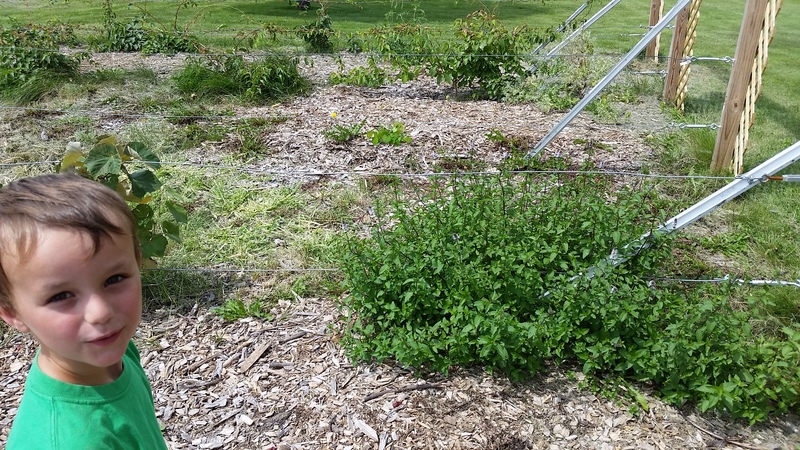 The mint patch we have is three or four times the size it was last year. We haven’t planted mint since our first summer here and every year it grows and spreads. Joe likes to pick a few leaves and chew on them while we are out checking for grapes and blackberries. 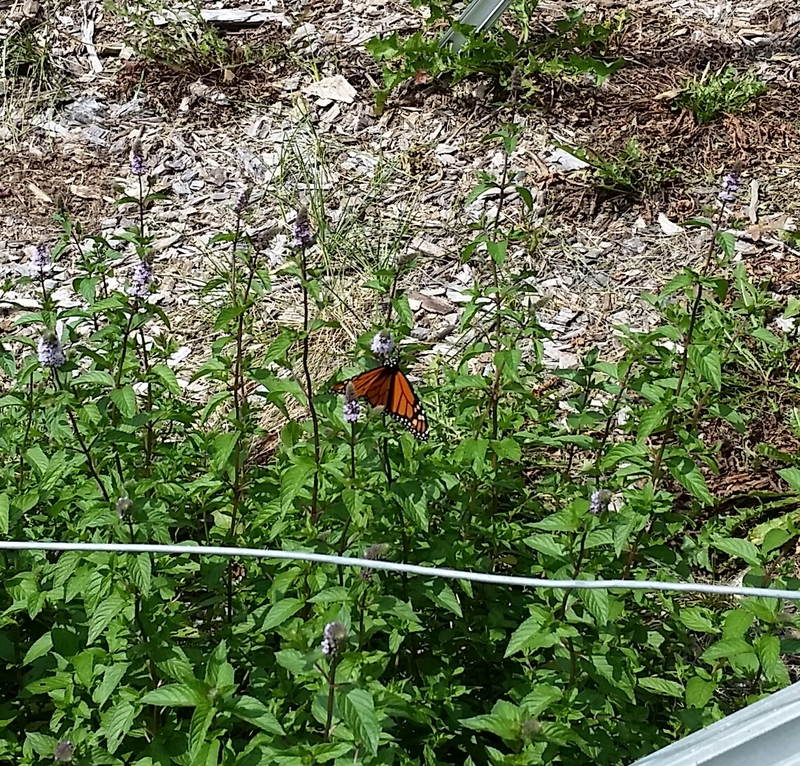 He was so excited when he spotted a monarch gently folding and unfolding its wings in the small mint jungle.